Arguably, the best example in the history of education sector comes of Nelson Mandela—the South African revolutionary who inspired millions worldwide to acquire valuable education. He has been the driving force behind the empowerment and belief in people for educating themselves and the generations to come. More importantly, Mandela inspired the youth to challenge the norms and values of the society and their perception regarding success. This brings us to the fact that education does have the power to not only change ourselves, but also our practical lives. Simply speaking, it’s never too late to acquire education, and more specifically that influences your career success. What many students fail to understand is that the decision to choose the right degree and major impacts their entire career and jobs they select to pursue any time in the future. This is why it is vital for them to understand how exactly education influences their career success. Learners should realize that it is extremely important for them to choose a degree program or industry that guarantees them success based on their interests and preferences. This also indicates which skills you should be well-equipped with in order to help you acquire success. The students should understand the value and worth of the industry and its requirements. Although this a completely different topic, but students should know how to choose the right field in helping them enter the industry, or simply elevating their position in the same career. Now we’re going to talk about the impact of education on your future career success. Obtaining quality education is a blessing in itself, as it equips you with powerful and practical knowledge and opens your mind to newer and broader perspectives in life. College and university students attend lectures in the classroom where they are exposed to such knowledge and chance to hone their skills, in short, getting ready to make the world a better place. You develop critical and independent thinking ability which makes you a strong problem solver. This is the beauty of education, the more knowledge you acquire, the further you can see through it. Students get to realize the needs of the industry through their polished creativity and ability to anticipate things better than before. Not only within the classroom, but the student broadens his or her mind to learn other industries and sectors as well. By becoming an accomplished assignment or dissertation writers once at the end of each term in college or university, students constantly ponder over real-life situations and try to blend them with the subject matter discussed in the class. This challenges them to think out of the box and devise creative solutions for existing and future problems. This kind of mental or cognitive development is an uncompromising skill that is one of the chief weapons in any professional tenure, especially when students opt for highly argumentative and decision-oriented fields such as medical, law, social sciences, marketing and advertising, etc. Remember, mental development helps the students to position their mind in accepting new experiences and success that is yet to come in the future. Quality education places the student in pole position to steer the ship of his or her career. When you become empowered through knowledge, you are allowed the freedom to travel any career path. You could either apply for a job, or establish your own business and become an entrepreneur. Education is basically a conformation any learners requires to climb the career success ladder. However, this doesn’t mean that once you step in your career the education stops, remember, education is a never-ending learning process that students can continue throughout their career as well. The more qualified you are in your field, the more you are given consideration for promotions, travel opportunities, salary growth, bigger influential role in the organization, etc. and other perks. Consider you’re employed as an advertising executive with bachelor’s degree in hand, however, in order to acquire the position of advertising manager, the professional will be required to pursue additional education not only in marketing and advertising, but in public relations as well. Not only for the starters, but bachelors and masters programs help established professionals in making a career switch. The skills and theoretical knowledge you acquire from professional programs allows you to demonstrate your talent to potential companies and carve a way for a healthy income. Besides the degree programs, both students and professionals can also opt for additional certifications, trainings, etc. in order to enhance their skillset required for career growth. First, let’s identify what a brand is, a product that can be distinguished from the rest in the competition due to its unique traits and features. Does this apply to products and services only? Absolutely not! Even a student or professional can presents him- or herself as a brand, only if you are able to make yourself an identity equipped with unique skills, education, and career preferences. All this calls for the confidence on how individuals carry themselves. It is important for any student or learner to craft a branding concept in his or her profile and portfolio in order to tempt the target employer with the impression you want. Branding yourself in the industry is all about presenting your work and skills in a manner that differentiates you from rest of the applicants. Similar to the efforts for career growth, personal branding is also an unceasing process where both the professionals and students benefit from continuing education and witness the career excellence they’ve always desired. One might argue that the global industry has aggressively grown to the extent that the intense competition leaves no job security at all. Not entirely true though, as quality education greatly counters this belief and allows the students and professionals to secure their careers. Let’s accept the fact, your resume might be boasting the best communication and public speaking skills, but if you don’t have a recognized degree to display, you’re of no use to the employer. You might even get the job based on a couple of crash certifications and trainings, but it won’t be long before you’ll be replaced with a professional who has a proper bachelor’s or master’s degree in hand. 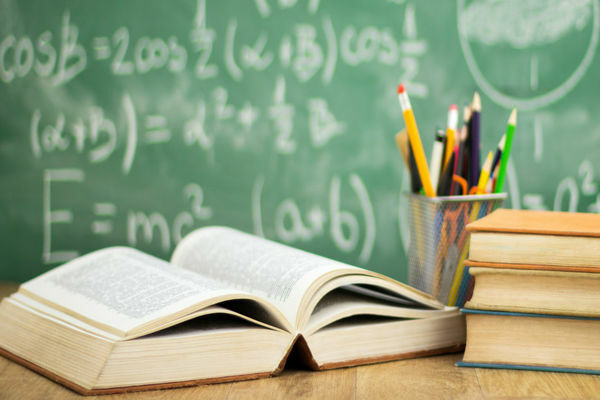 We can understand the importance of education with the fact that there are companies in many industries that even include a healthy education allowance in their compensation programs for employees. The allowance is taken as an investment in the workforce, which shall bring the company some real tangible and intangible benefits in the future. Data has stated that in times of economic recession, employee graduates are least vulnerable to layoffs in any organization. The maximum number of layoffs are those who are only relying on simple high school diplomas, rather than attending a proper college or university. As stated above, there is no promise, but acquiring a globally accepted degree major will secure you from long-term unemployment.